Advise on VFX shot, miniatures and distance. 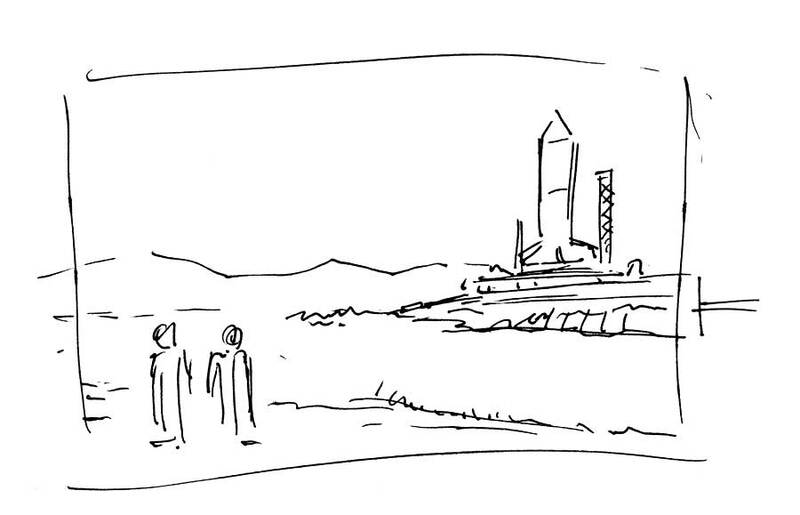 I have a scene coming up in which two people need to stand center frame, with a rocket/launchpad in the distance. I have been researching and thinking about how to do this not in a computer, but using miniatures. I can't figure out if I need to build a model to shoot with maybe a matte painting matching the tree line of the location but close to the camera, OR if a large flat painting set far enough away is the best effect. The camera doesn't move, and will be locked off during this particular scene. The problem I foresee is if I make a model and set it close to the camera for a sort of forced perspective, then I'll have to roto out the support structure as the whole thing will likely be in the middle of the frame. See the storyboard below. The model will not look exactly like the storyboard of course. Any thoughts on the best way to pull this off without resorting to digital CG? I'd much rather build the model. I would think that since it's such a wide shot that a glass matte painting in the foreground would be easier to pull off than a model or a painted backdrop. Does the rocket need to take off in the shot, or are there any smoke effects that you want to happen live? No, although smoke would be nice, I think rotoing in some blinkenlights would be just as sell-able. And, it takes place in the afternoon of a nice May day, so clear or clouds - no weather or atmosphere to worry about. Now the question is, who/where do I find a matte painter?! I can build models all day... matte painting is - an art! HA! Wow, looks like a cool opportunity. Is that a wall that goes off screen right? Could the whole miniature be interconnected so as to be supported by a gobo arm behind that wall. Or better yet, have only the front half of the model sculpted, so the back half is flat and affix it to a sheet of glass. Just some quick thoughts. Yeah, and one issue with a foreground matte painting is you have to guess the lighting conditions (overcast, sunny, etc.). That's the great thing about foreground miniatures, the lighting works out automatically. Of course if you comp in a matte painting in post, this isn't an issue. If this is a paying gig, I have a connection to someone who did matte paintings for Lord of the Rings. Probably won't be cheap. Yeah, that's always the problem isn't it! I think if you were to go the model route, you would want to put it as far away as possible to be convincing and thus it would have to be quite large. The blinking lights might look better as practical elements, whether as backlit holes in the matte painting or as fiber optic strands or LEDs built into the model. That way, you may get some lens flare or other interactive lighting that would be hard to replicate in post. I was thinking, a 1:4 scale 300' rocket is... large. A 1:16 scale 300' rocket is not as big, but still that's a 20' tall structure. Which would be awesome if I had unlimited funds... or more funds than I have. I like the idea of mini-led's that's easy to control with electronics. I also like the idea of mounting a half built model on glass - like a 3-d matte. Wow, looks like a cool opportunity. Is that a wall that goes off screen right? There is not suppose to be a wall there, but the storyboard artist became a bit... artistic, in places. The first draft drawing was very interesting. I wonder how big I would have to build the model to mount it on glass, have it in the foreground AND look like it was in the distance a mile away. Creating atmospheric haze could be an issue with a small foreground miniature. And making the model big enough to put it far back would be one crazy large piece of glass. How about shooting the live action plate, then shooting the miniature against green? Or better yet, use an old time technique of doing a mask pass. Years ago when people had to comp in animated stuff, they would shoot one frame with all the beauty lights on, then shoot another frame with all the foreground lights off and putting a piece of white foam core overexposed behind it. You could then use that frame (black foreground/white background) as a mask in your composting software. Once your miniature is its own layer you can do whatever you need to create atmospheric haze. I suppose you might even be able to bring the model to location and do the same thing (that would make it easy to match the lighting on the beauty pass) but you'd have a hard time getting the foreground dark enough for the mask pass. I will likely end up doing a hybrid. I'll shoot a clean background plate. I'll shoot the scene with talent. <-- Maybe with a holdout matte on glass? I'll shoot a model against green. I hate the fix it in post routine, but doing this stuff for real takes talent that is going by the wayside. You can also use a piece of glass at a 45-degree angle and reflect in the lights. You don't need a hold-out matte on glass in camera if the only thing moving are the people. If you shoot the rocket model against green, then that generates any hold-out mattes. I would consider a hybrid -- shoot the model on a tabletop landscape against a real mountain range and sky in the distance. Then all you have to do is shoot the people against green screen, the trickiest part is getting their feet and shadow on the ground to look attached to the miniature ground. If that's too risky, either bring the two people closer to the camera so the shot is a bit more of an over-the-shoulder so that their feet are below frame. Or put the green screen behind them but resting on the ground and use the ground under the feet all way way across the frame, sort of soft split-screened with the bottom of your tabletop miniature, but using the green screen to let the people stick up through the split screen. Or slightly redesign the shot so that the two people are on a low hill that drops below frame to the right of them rather than extends across the whole frame, then that hill and people can be matted against the table-top miniature without dealing with the same ground extending across the whole frame. Or if no hill, put a low rail or wall that extends across the whole frame so that the foreground ground and people can be matted over the background without the same ground extending from reality into the miniature land. I'm only suggesting the table top landscape in order to not have the model being pasted over a real ground in post without its shadow falling realistically on the ground. So the ground is also a miniature and you are just dealing with the foreground people and their piece of ground. Truth is that today you'd just shoot the wide shot with the people and do a digital matte painting for the background; you're just at the mercy of the digital matte painter in terms of believability, but then, one is always at the mercy of the people putting the shot together and providing the elements. A foreground miniature might work too if it is quite large and the shot can be redesigned so that the model can stick out from the right side of frame on some sort of shelf. 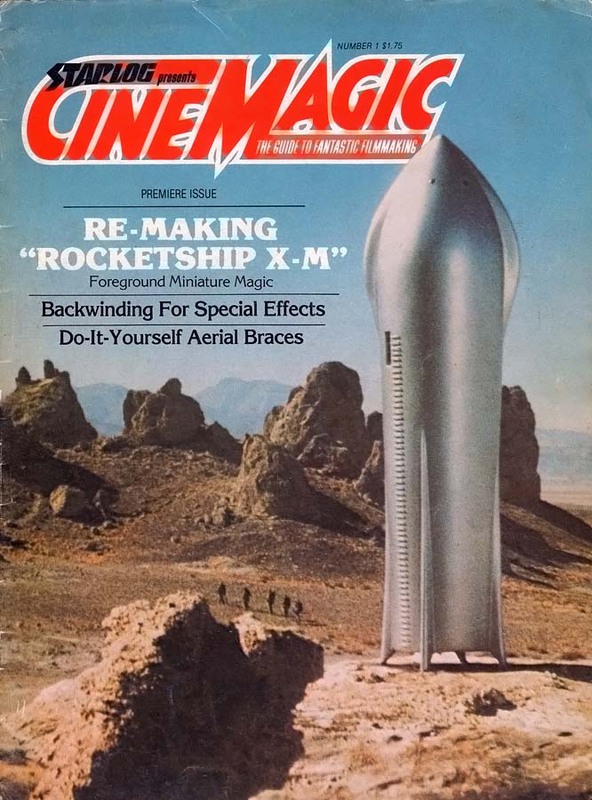 I have an old issue of CineMagic Magazine from the 1970's that did something similar that I can go find. So, this is just too weird. 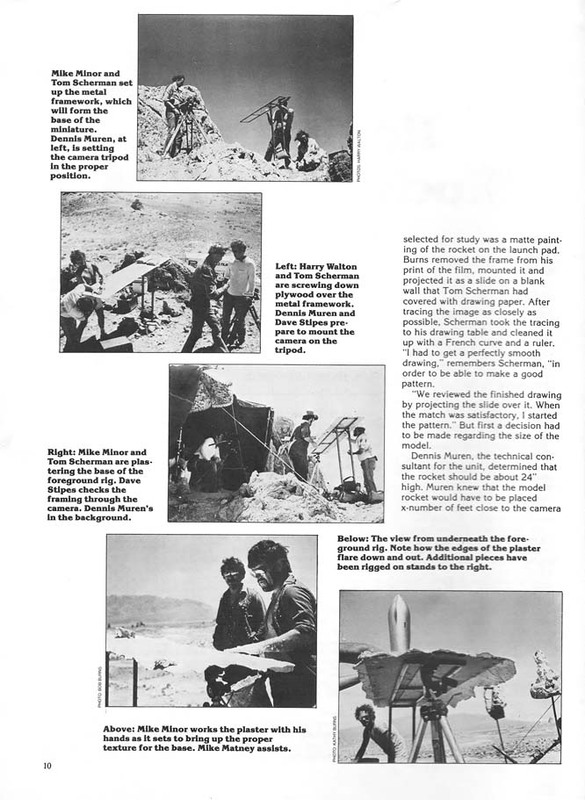 The matte painter whom I mentioned I have had some contact with, Mark Sullivan, is I think the same guy on the second page of the article Dennis posted. Admittedly, I didn't know him back then, but his age would be right, and that's what he was doing back then (stop motion). Is it a small world, or just such a big world that these coincidences become inevitable? Thanks for all the suggestions. That article is very interesting read, however I need to do the opposite. I need a foreground model to look like its in the background, behind the actors. I guess shooting a tabletop model on green is likely the best option at this point. I was just wanting to do as much in camera as I could. I know it can be done, but I also know I don't have the funds for it to be done correctly. If this rocket were on the right side of the frame, this would be more close to what is suppose to be represented by the storyboard. I think the storyboard (this is the third iteration) gives the sense that the actors are suppose to be much close than they are. Well, if you want the model to be behind the actors, you need to shoot the actors on green, not the model. A bit old school but maybe the Schufftan process? As Fritz Lang is one of my top 5 favorites, I favor a nod in this direction. Old school works for me. With foreground miniatures, you can still have the miniature seem to appear to be in the background. 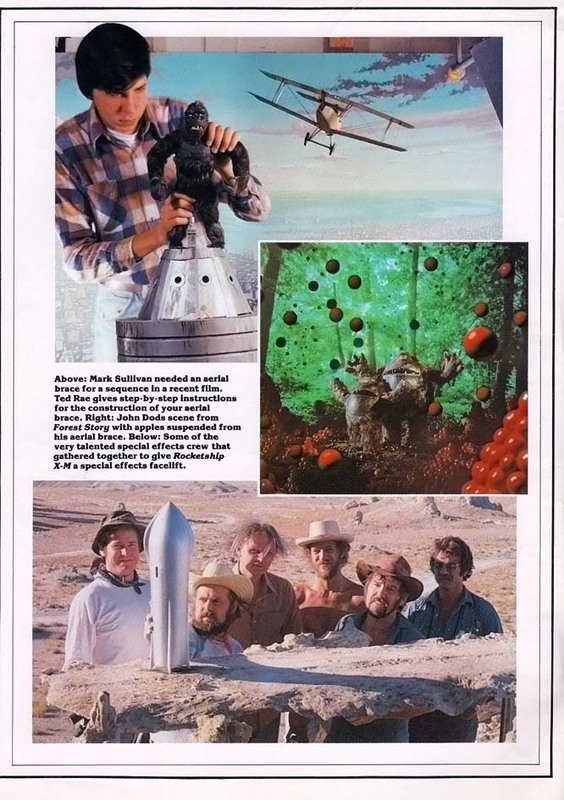 It isn't all that hard in that example I pulled up to imagine how the shot could be designed to put the actors in the foreground instead of the background, it would have just made the rocket look a lot bigger in that case. As for doing it with a mirror with some silver scraped off as in the Schufftan Process, that's not much different than doing it with a foreground miniature. You still have to design a shot so that the real ground doesn't have to extend from the actors to the miniature continuously. The problem with your storyboard design is that the ground that the actors are standing on and the rocket sits on continues all the way across the frame -- if either were on some sort of shelf of some sort, a hill, a raised platform, etc. that extended past one edge of the frame but not the other, then it would be easier to do a foreground miniature or a diagonal split-screen of some sort. Of course, that second example is also easier because the actors heads aren't extending through the horizon line and the rocket is beyond that, so a horizontal split-screen could work. I agree. I'll split the frame horizontally, above the actors heads. Time to make a trip to the railroad store for miniature trees! I assume I'll make a table model and place that above the actors with the support arm off frame right. Then its just a after of making the transition area blend. Though you can do this in post, a Smoque or Ultra Con filter can increase the atmospheric haze overall, or even better would be some sort of graduated fog filter that was very light to haze up the upper half of the screen. But like I said, that's also easy to do in digital timing, add a white or light blue grad to haze up the foreground miniature. Great, thanks David! A cokin graduated fog is $30 so I'll pick one of those up just because. Why not have the miniature ground (road ?) extending right across the frame, as in the "Rocketship X-M" scene, but only a thin sliver underneath your actors. Not above them. So the miniature foreground won't need hazing to match the contrast of the real distance. It can also be slightly soft focus perhaps, as it seems to be in their shot. If the camera is quite low down it could blend in OK. But would be easier if the miniature sliver was perhaps some 'rocky' ground as a foreground to the road. To reduce the contrast of the rocket/launchpad make up a sheet of glass with some bridal veil or something over just that area of the frame. 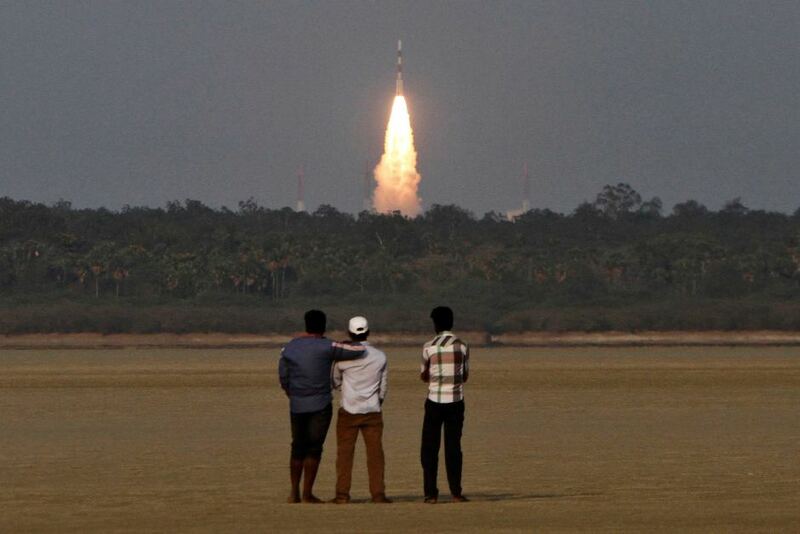 Then that sliver would mean that the actors look like they are beyond the rocket rather than in front of the rocket. 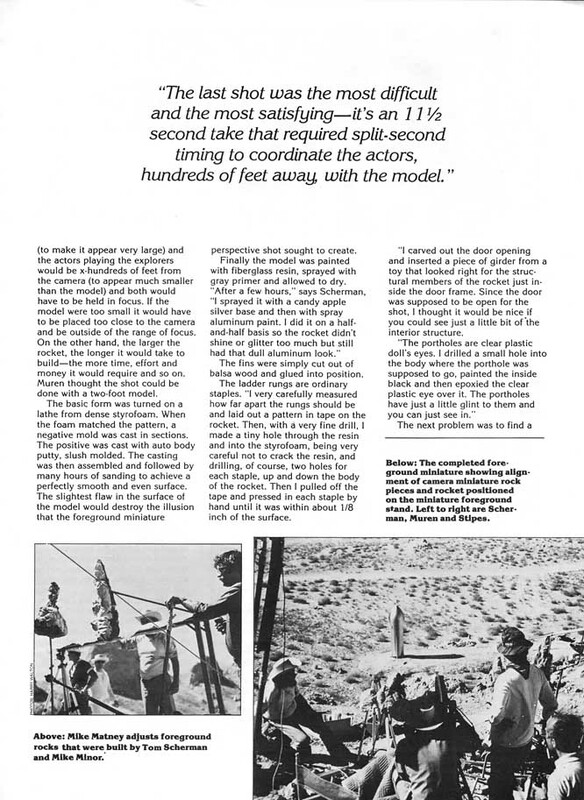 The ground that the rocket is sitting on has to look farther from the actors -- not in front of the actors, that's hard if the miniature ground is below their feet. That's the problem with original drawing, the same ground that the actors are standing on extends without interruption to the distant rocket pad with a road... which is why you need to design a break of some sort to make the land discontinuous, a foreground hill or a background rock cropping or row of bushes, etc. Be careful because those Cokins might be too heavy as a fog effect, they didn't really make them in subtle strengths (Harrison and Harrison might have made a lighter version.) As Doug suggests you might also try a sheet of glass reflecting a card that goes from black to white at the top for a graduated haze. Yes I should have added that there needs to be some kind of break between the miniature and the real distance. Maybe it's possible diagonally just to the right of the figures, breaking up the join with rough ground or foliage. This part may be better as a diffused glass painting.